We welcome applicants who can display a keen dedication to their practice and clarity of proposal. The residency programme is financially supported by our funding partners and fundraising. Bon Volks provides studios space, off-site accommodation and exhibition space, free of charge. Due to the size of the residency studios, we feel that those who work on a large scale or with industrial materials, would not be suitable for the residency. 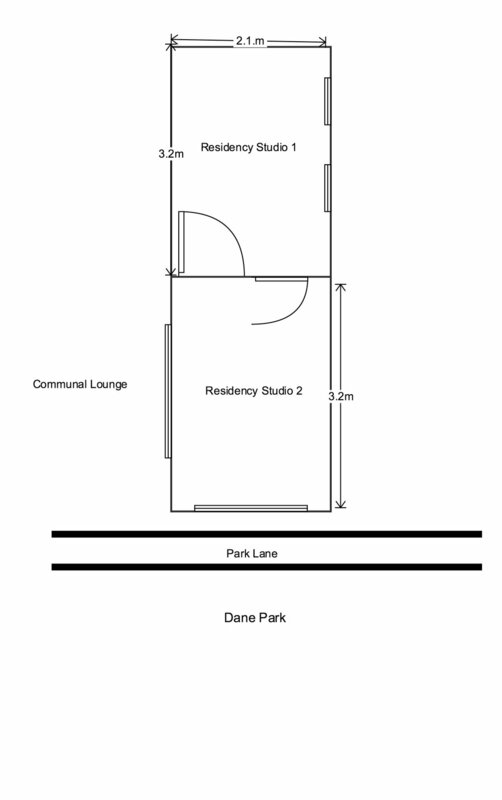 Please refer to floor-plan below for dimensions of the studios. Similarly, the residency studios are on the first floor, without lift access. Can i apply on behalf of two people or a group? You can, but we only have a accommodation budget for one person, so the shortfall in extra accommodation must be made up by the applicant. When will the residency take place?